Merlin Bathrooms are an appointed showroom outlet for ‘Sottini’ so if you are in the Cambridge area please come and see the collections we have on display. We can also guide you through the ranges in more depth. 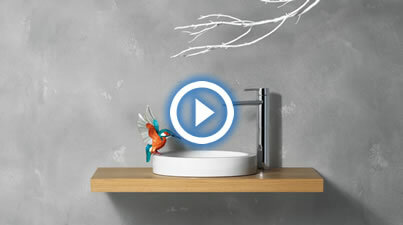 Sottini is the 'designer brand' of Ideal Standard. Merlin Bathrooms also have other Ideal Standard collections such as the Concept, Concept Space, and Tesi on display in our showroom. They can all be purchased from Merlin Bathrooms to find out more please contact us. All the latest brassware can also be seen on display, we also have a working model of the Paglia waterfall tap if you want to see how it operates. Other taps include Basento, Borbera, Ciane, Lambro, Mazaro, Meliton, Paglia, Tresa, and Velino. 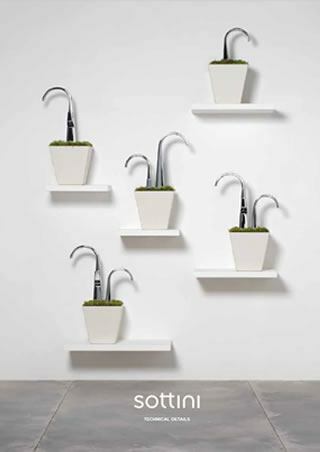 Every Sottini is a product born of an inspired concept. 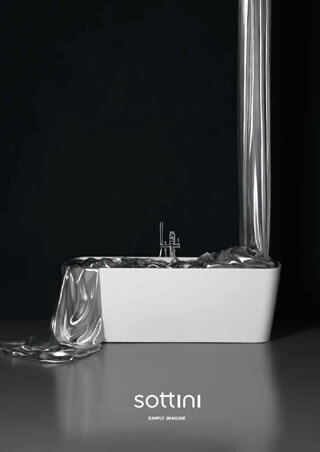 Each basin, bath and WC is a unique piece of art and a design statement. Their portfolio has been constructed to give maximum choice to the consumer. A collection of products defined by a precise and pure approach to design, giving a seamless and effortless look. Square lies, clean angles and pure shapes give complete confidence through boldness of form. Sottini have developed a collection of products defined by their simplicity, revealing the essence of creative vision quality of materials and perfect functionality. Design is pared back to simple balanced forms to achieve understated elegance. Imaginative, inspired and unconventional, this collection is playful with form to create unique pieces while never compromising on function. Successful intelligent design is a product of two minds: the intellect considers functionality, efficiency and durability, looking for solutions and innovations while the intuitive mind explores concepts, aesthetics and form. Sottini’s range of brassware includes basin and bath mixers of shower systems with advanced technology that enables elegant and seamless performance.